Nearly 150 detainees broke out of their cell in Tripoli's Triq al Sikka earlier this week to protest against abuse. As many as 30 refugees and migrants, including minors, are believed to have been brought to an underground cell and allegedly tortured in Libya for breaking out and holding a protest earlier this week. 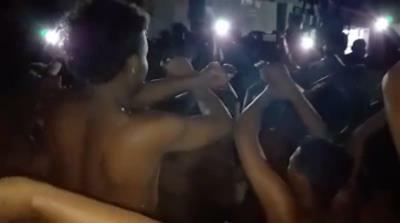 An estimated 150 male detainees escaped on Tuesday from the main cell in Tripoli's Triq al Sikka detention centre, where some of them have been held for more than a year, to lodge their protest with Libya's Department of Combatting Illegal Migration (DCIM). They protested against the conditions under which they have been detained, and demanded a visit from an official from the United Nations Refugee Agency (UNHCR), according to witnesses. 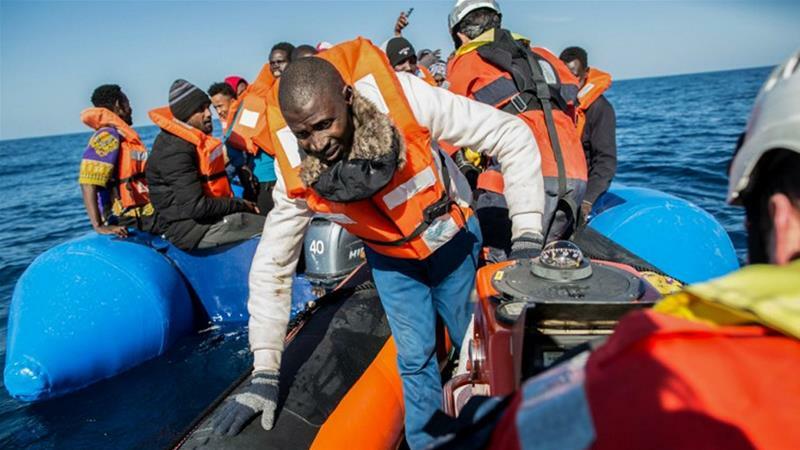 The majority of those detained in the past 18 months were returned to Libya by the European Union-funded Libyan coastguard after they tried to cross the Mediterranean Sea to reach Europe. Three witnesses told Al Jazeera how Libyan guards surrounded the male refugees and migrants before beginning to beat them with sticks and metal bars. They alleged that as many as four people lost consciousness as a result of the beatings. Women, who were being held in a separate area, screamed throughout the ordeal, they said. The International Rescue Committee, which provides medical care in the detention centre, confirmed that two detainees were taken to hospital on Tuesday, though a spokesperson said they couldn't confirm why. Witnesses said dozens of detainees were then put in buses and moved to other detention centres, while two of them said those suspected of leading the protest were rounded up and brought to an underground cell, where they were allegedly tortured. As many as six of those taken underground are believed to be minors, they said. "They locked them up because they want to frighten them not to talk and to make the others frightened," a refugee said. Those who remained in Triq al Sikka were injured and in need of help, according to detainees who were moved elsewhere. Witnesses said Tuesday's protest started after a visit to the detention centre by diplomats from the Netherlands. "They started to beat [us] the moment the embassy staff left the detention centre… Policemen came, about 100 of them from other places and started beating us with metal, plastic and wood," a witness said. One refugee, who knew others held in the same underground cell for trying to escape, said, "People earlier were released after months. That place is so bad. There's no place to walk, it's dark, it's so small." Refugees and migrants formerly held in Triq al Sikka have said they were kept in the dark all day, regularly abused, given little food and denied medical help. In October, a 28-year-old Somali man returned to Libya by the coastguard, burned himself to death in Triq al Sikka after saying he felt hopeless about his chances of getting out. An EU spokesperson said they were aware of the report and following the situation closely. "As repeatedly said, the detention centres in Libya must be closed," the spokesperson said. "The situation in these centres is unacceptable. The EU raises the unacceptable condition in detention centres in all of its meetings with relevant Libyan authorities at both political and technical level, in Tripoli and elsewhere." Rights group Amnesty International's Matteo De Bellis said of the report of abuse, "if confirmed, constitutes yet another case of brutal violence against people arbitrarily held in Libya's notoriously abusive detention centres". "European governments and institutions keep saying that they advocate the end of arbitrary detention of refugees and migrants, but they have not taken any decisive action to ensure this would happen," De Bellis said. Libya's DCIM, the UNHCR and the Dutch foreign ministry did not respond to Al Jazeera's requests for comment. Migrants and refugees in Libya are brought to detention centres that are formally under the authority of the country's interior ministry but in reality are controlled by armed groups, the real power in the country. Thousands of refugees and migrants are currently being held in indefinite detention by DCIM. Among them are people from Somalia, Eritrea, and Sudan - countries where the security or political situations are unstable and serve as a push factor for those seeking safety and freedoms. Around 15,000 refugees and migrants were returned to Libya last year under a 2017 deal in which the EU supports the Libyan coastguard to carry out interceptions at sea by supplying funds, ships and training.